Every tour is a black bear tour. The first evening in the lodge there is a tour to familiarize guests with the boats and guides and to look for wildlife in particular black bears. 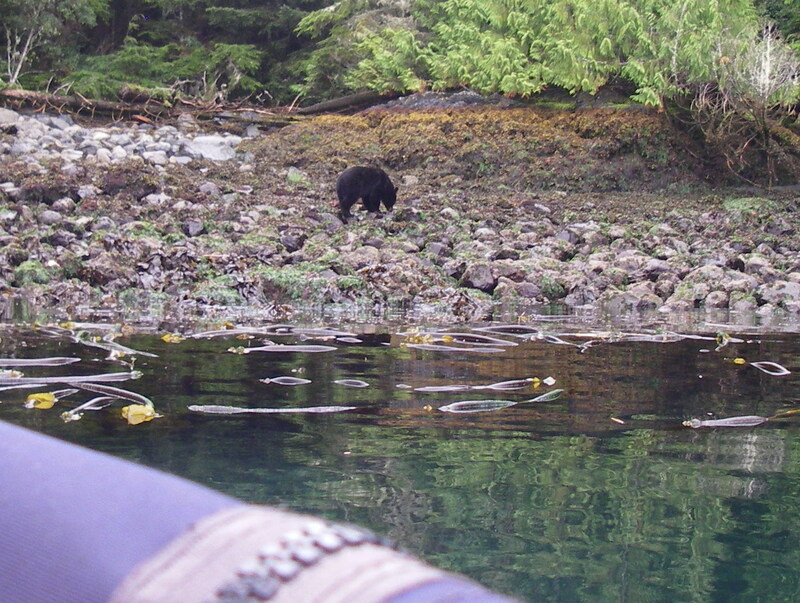 But every trip leaving the lodge to look for grizzly bears, orcas, humpback whales or to the wild river on the extra day in camp we look along the shore for feeding black bears. If you have a decent camera you will get some good photos. 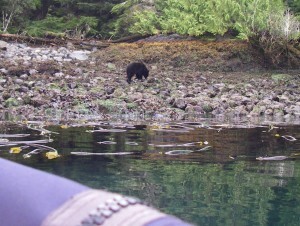 The above photo gives you some perspective of how close we approach a feeding bear showing the boat top over the windshield in the lower corner. The camera a small ten times optic zoom Pentax with no zoom used. This is one of the reasons for our day of whale watching from Grizzly Bear Lodge. The numbers of humpback whales that are in our viewing area has increased dramatically over the past five years from four or five a trip to twelve to sixteen. 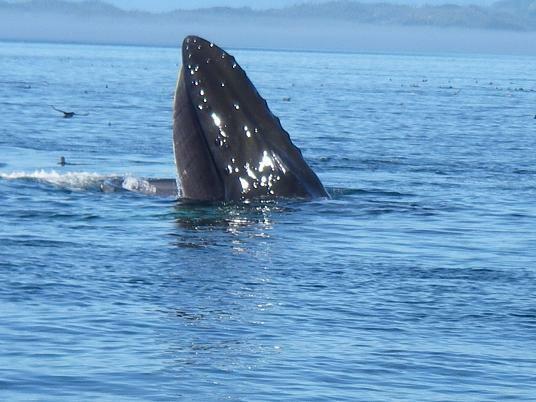 The whales are frequently seen lunge feeding, tail-lobbing and breaching. The picnic lunch break while whale watching is normally the best time for photos because we stop the boat in an area of active whales and drift. The only problem guest have is to decide to eat or take pictures and on most days the realize that it is best to eat because the whales will be there when they finish.